Lots of news to share with you but first we would like to share with you our interview we did on Monday with our friend Ellis Martin of The Ellis Martin Report. All subjects are on the table including our current views of the markets and ‘when will this upcoming cycle peak end’. Check it out here. Now for some recent stocks in the news …… and what all of these companies have in common. These companies are good examples of what we do for our subscribers to keep you and them informed of all things….’warrants’. Vuzix is a leading supplier of Video Eyewear products in the consumer, commercial and entertainment markets. The Company’s products, personal display devices that offer users a portable high quality viewing experience, provide solutions for mobility, wearable displays and virtual and augmented reality. Vuzix holds 33 patents and 15 additional patents pending and numerous IP licenses in the Video Eyewear field. Good Times Restaurants Inc. (GTIM) is a regional chain of quick service restaurants located primarily in Colorado providing a menu of high quality all natural hamburgers, 100% all natural chicken tenderloins, fresh frozen custard, fresh cut fries, fresh lemonades and other unique offerings. Good Times currently operates and franchises 39 restaurants. Venaxis, Inc. is an in vitro diagnostic company focused on the clinical development and commercialization of its rapid, protein biomarker-based appendicitis test, APPY1. This unique appendicitis test has projected high sensitivity and negative predictive value and is being developed to aid in the identification of patients at low risk for acute appendicitis, allowing for more conservative patient management. APPY1 is CE marked in Europe and is being developed in the U.S. initially for pediatric, adolescent and young adult patients with abdominal pain, as this population is at the highest risk for appendicitis and has the highest risk of long-term health effects associated with CT imaging. While FDA clearance is being sought, an initial launch for APPY1 is ongoing in select European countries. For more information, visit www.venaxis.com. CDTi is a global manufacturer and distributor of emissions control systems and products, focused on the heavy duty diesel and light duty vehicle markets. CDTi is headquartered in Ventura, California and currently has operations in the U.S., Canada, France, Japan and Sweden. So you ask, what’s the big deal, all of these are new stock warrants, will be trading soon, right? You would think so, but after much research and digging through the SEC filings or Edgar filing, we frequently find a statement similar to, “…We do not intend to list the warrants on the NASDAQ Capital Market, any other national securities exchange or any other nationally recognized trading system.” Damn. We get excited to see new stock warrants which will soon trade and are disappointed ourselves to find that many companies choose to not allow the warrants to trade. True, the decision to allow the warrants to trade or not to trade is that of the company’s management and their financial advisors but we don’t have to like it and would like to see more warrants trading. 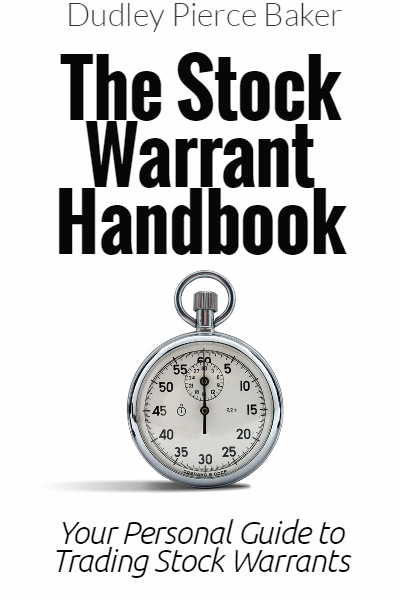 There is no lack of good companies with long term warrants trading and currently there are 186 companies will stock warrants trading both in the United States and in Canada and some companies, for example, General Motors has three (3) warrants trading. Our mission here at www.CommonStockWarrants.com is to provide our subscribers with ‘the list’, the only list of all stock warrants trading (United States and Canada), complete details on those warrants, our proprietary leverage calculations and current ratings, fair value, over valued or under valued on all warrants. Our team spends a lot of time researching and keeping up to date on all new ‘potential warrants to trade’, as above, but we enjoy it. Why should you spend your valuable time trying to find the list, researching the details and trying to decide if a particular warrant is fairly priced, when we have already done it for you? If you are not a current subscriber we encourage you to join us now.